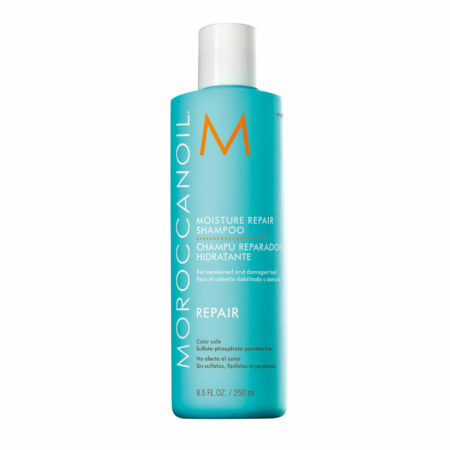 Repair and strengthen and effortlessly style hair with this travel-friendly set from Moroccanoil. Features the best-selling Moisture Repair Shampoo and Conditioner, which infuse chemically damaged hair with protein and nourishing ingredients, plus Dry Texture Spray to create glam, undone styles. All products are infused with antioxidant-rich argan oil, which improves hair’s condition with each use. 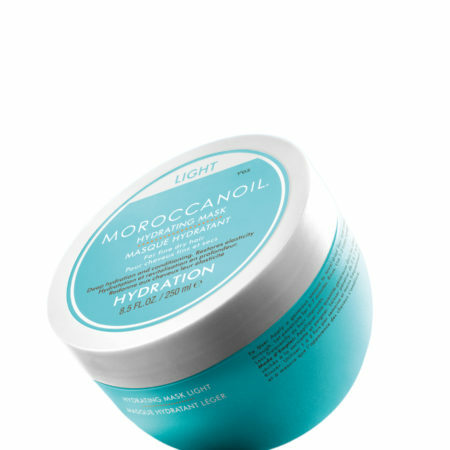 • Moroccanoil Treatment 25 ml – the original foundation for hairstyling that can be used as a conditioning, styling and finishing tool. Rich in argan oil and reparative proteins. • Moisture Repair Shampoo 70 ml – gently cleanses while infusing each strand with reparative nutrients, leaving hair strong and manageable. 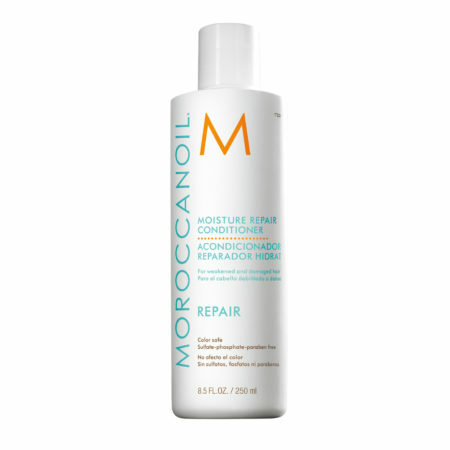 • Moisture Repair Conditioner 70 ml – gently detangles and softens hair while restoring elasticity and manageability with reconstructive keratin and fatty acids. 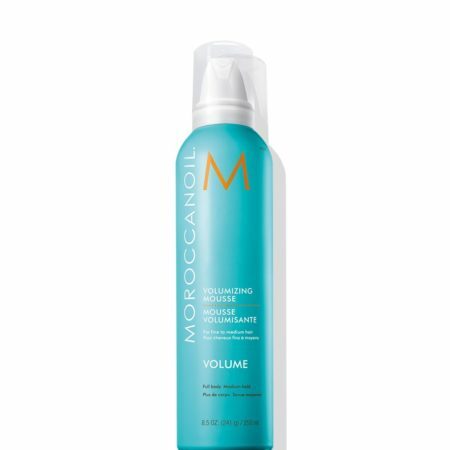 • Dry Texture Spray 60 ml – a dry argan-oil infused texture spray for effortless, undone styles with long-lasting hold and a dry, gritty finish. Use as a prep spray to provide grip needed for no-slip braids and updos, or as a finishing spray for styles with carefree, textured volume. 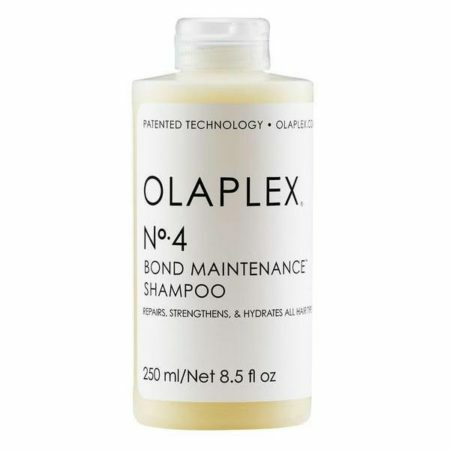 • Moisture Repair Conditioner: After shampooing, squeeze excess water and apply from mid-length to ends. Leave on for 1–2 minutes and rinse well. Use regularly for best results. • Dry Texture Spray: Shake well. Spray on dry hair. • Argan Oil is Extremely rich in tocopherols (Vitamin E), essential fatty acids and antioxidants, this natural oil helps to nourish. 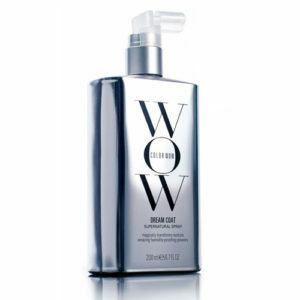 • Lavender, Rosemary, Chamomile and Jojoba Extracts: Natural plant extracts that provide nourishment to dry hair. Cocamide Mea: Made from fatty acids derived from coconut oil. 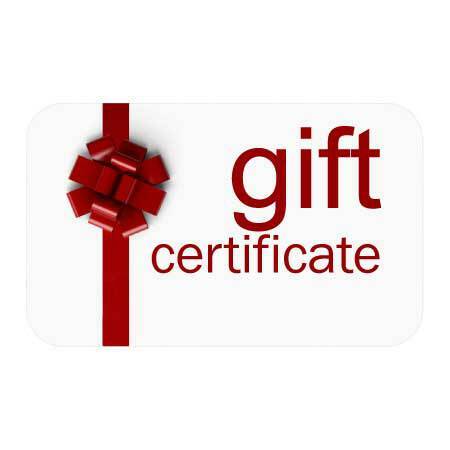 • Keratin: A structural protein that rebuilds and strengthens damaged or porous hair.